We know that its all about the bride! We understand, BUT without the groom, there would be no special day right? So why not treat him to some special attention on the day too. Wedding cars are really an exciting part of the day for the boys. Boys and their toys! 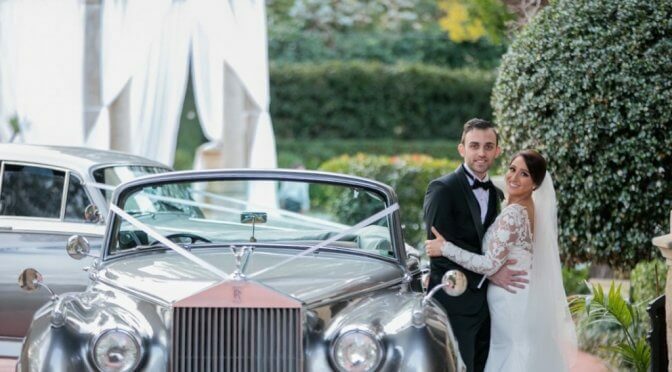 We see their faces light up when they walk into our showroom and even more so now when they see the wedding cars we now offer in Sydney. The Eleanor Mustang GT500 has been such a hit with all the grooms and even some brides! We’ve even had a couple of brides hire this wedding car in Sydney as a surprise for their groom, so sweet! It matches perfectly with our Two Tone Silver Rolls Royces so the bride can have her gorgeous classic wedding car photos and then the groom gets some super cool and classic shots with his mustang! I say win win if you ask me! Check out our gorgeous wedding cars in Sydney today!